3 Bedroom Maisonette For Sale in Hengoed for Asking Price £60,000. 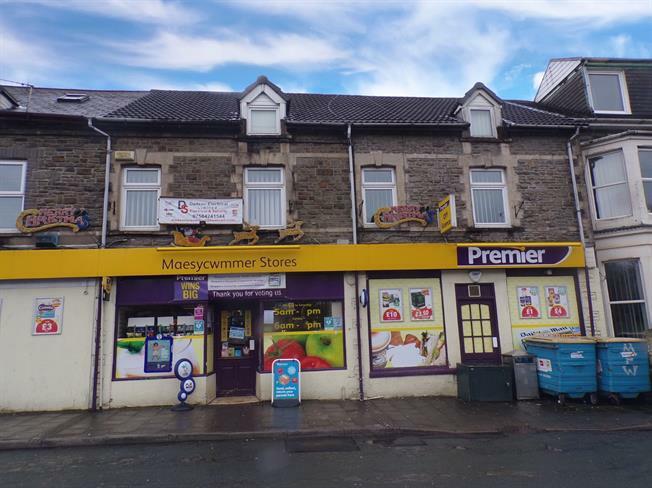 Taylors Estate Agents are please to present this fantastic investment opportunity located close to amenities and transport links in Maesycwmmer, Hengoed. The accommodation is set over three floors and briefly comprises, to the ground floor: entrance hall, kitchen. To the first floor: landing, lounge, double bedroom, bathroom and shower room. To the second floor: landing, two further double bedrooms. Further benefits include double glazing and gas combination boiler. Good size kitchen with stainless steel bowl and a half single sink & drainer unit set in black curved edge worktops with modern white gloss wall and base units. Electric cooker point with tiled splash backs, plumbed for automatic washing machine, wall mounted combi boiler which governs domestic heating & hot water throughout the property, vinyl floor, emulsion walls & ceiling, window to side, radiator. Emulsion walls & ceiling, carpeted floor, gives access to lounge, shower room, family bathroom, lounge & bedroom 3. Carpeted floor, emulsion walls, textured ceiling, large window to front, radiator. Spacious bathroom suite finished in white comprises of; bath tub with tiled surround, low level W/C, wash hand basin, vinyl floor, emulsion walls & ceiling, radiator. Walk in shower cubicle, pedestal wash hand basin, vinyl floor, emulsion walls & ceiling, radiator. Gives access to two spacious bedrooms. Spacious bedroom with carpeted floor, large window to front, emulsion walls, textured ceiling, radiator. Another spacious bedroom with carpeted floor, large window to rear, emulsion walls, textured ceiling, radiator. We are advised the property is leasehold with 114 years left on the lease.